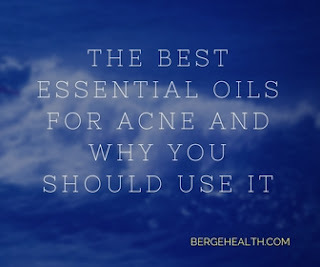 Many people have recognized the advantage of essential oils for acne. Essential oil has great benefits for skin and turns out it makes a great acne treatment as well. As a matter of fact, some types of essential oils, like Tea Tree Oil for example, have been proven to eliminate acnes better than chemical acne treatments. There are many reasons why more and more people starting to use various types of essential oil to treat their acnes. These are some of the most popular benefits of essential oils for acne treatment. Most acne treatments out there are made of chemical ingredients. While they are effective at some point, the acnes will start breaking out again if you stop the treatment. Furthermore, it is also possible that the chemical ingredients are too strong for your skin. Essential oils in the other hand, is considered safer because it is made of natural ingredients. It is easy on your skin and less likely to cause allergic reaction. Stress and sleep deprivation are some of the most common causes of acne. Essential oils can address acne problems more effectively because it is not only treat the acne, but also the stress that causes it. The calming aroma of essential oils can help you get a better sleep at night and it is also known as the ultimate stress and anxiety reliever. If your acnes are red and inflamed, you can apply clary sage essential oil. Thanks to linalyl acetate, a great anti-inflammatory property that exists in this oil, you can use it to reduce inflammation and the itchy feeling the acnes often bring. Furthermore, clary sage oil is also able to control sebum production, which is known to be one of the most common causes of acne breakout. Lavender essential oil is very effective to treat acnes because it is able to destroy acne-causing bacteria in no time. Furthermore, it also comes with excellent anti-inflammatory agent. If your acne is swelling, you can use this essential oil to reduce the size, pain and also the itches. When it comes to the best essential oils for acne, it is safe to say that tea tree oil is the answer. This essential oil is good to fight acne because it contains antibacterial, antifungal and anti-inflammatory property. It is also good to treat various types of acne from blackheads, whiteheads to inflamed pustules. Honey for acne is something which is not known by some people. Do you like to consume honey? Honey is the sweet liquid which contains a lot of vitamins which delivers more benefits to the consumer. Most people know that honey can be used as the supplement to strengthen the body and even good for skin, especially acne. Honey contains of the antibacterial substances which can help people to reduce the spread of their acne. It is one of the traditional method to solve acne and throw them from your beautiful face. People don’t need to spend too much money by using this honey. They only need to buy the original one to prevent any acne. Honey can also be used to clean the spots from your acne. Most of you might be too embarrassed to have red and even dark spots on your face. Honey can be the right choice to clean that spot. Honey for acne can be used to disguise any pockmarked which is usually caused as the result from the acne itself. Honey is used to be the right method to prevent any acne presence. The one who has no acne before can even apply the honey to prevent any acne to come back into their skin. It contains of the natural antioxidant which help to prevent radical into the skin. How to apply honey into your skin? 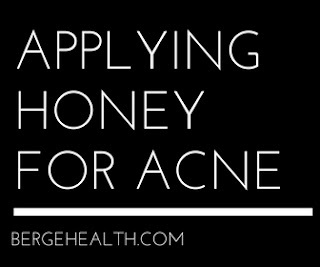 There are some ways that people can do with honey for acne. People might apply this sweet liquid as the salve, face mask and even combine this liquid with any other traditional ingredients. People can only use honey as the salve for acne. People have to pour the small amount of honey into the small cup. Then, take it with your finger and touch your acne with that liquid. People can use honey as the face mask before sleeping and even in the early morning. People just need to sweep this liquid in all of the parts of their face. Then, you need to wait until it dry and it will be used as the right mask for preventing any acne from your face. People can make a combination of honey with any other kinds of traditional ingredients, such as: strawberry, apple and even sugar. Then, people only need to apply those mixtures on their face. It is right method of applying honey for acne.